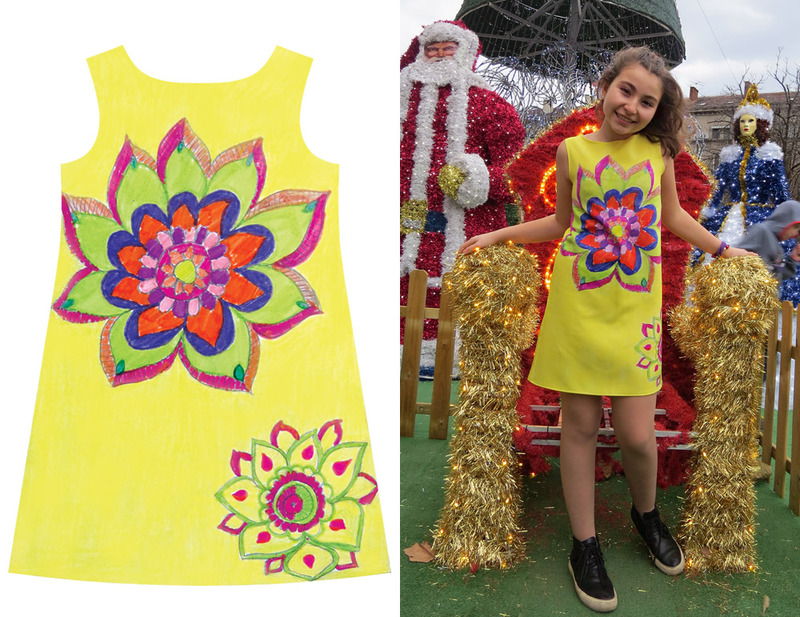 First, why should you design your own dress? It is fun! Have you dreamt to be a star? If that dream did not come true so far, it is very easy to attract attention with a dress, made by you! If you think this is difficult, just see some suggestions and you will understand that it is not difficult at all! The first dress is made by my daughter Monika when she was 11 years old. 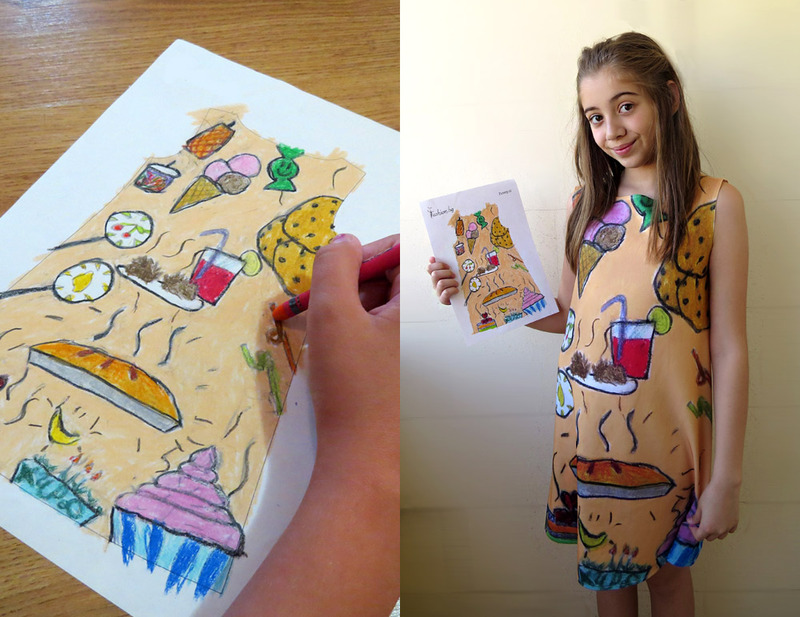 The second dress is drawn by her friend Nikole. How to draw your dress? First you should download our template. Then you draw whatever you want - it can be even а simple drawing of blending colors. Then you take a photo of your drawing and send it to us. We print it with sublimation - the most environmentally friendly and sustainable method of garment printing. Then you will have a unique dress that no one else has, made by YOU!